At the center of all organizations sits one of the most, if not the most, important department: IT. For a lot of high-tech companies, IT is the product itself. If not, then IT is still probably playing a critical role in building, delivering, and implementing a product. Even for those companies that are not very high-tech, IT is an internal enabler through the technology that moves sales, marketing, and supply chain functions. Within companies, whether it is as a developer or deliverer, IT is the piece that moves business and cultivates success. Considering the importance of IT within an organization, it is pertinent you make sure to bring together the right team and leadership. While there will be members of your team hired from outside, it is important to discern the leadership prospects already within the organization. In the past, working with IT to acquire hardware, software, or tackle problems was viewed as an inconvenience, one that hindered productivity. The market has been flooded with SaaS-based productivity tools and many employees have been using them without consulting IT. As a result, Shadow IT has developed into a force to be reckoned with in recent years. The best candidates for leadership positions within IT are the ones that recognize the department’s role in breaking the above trend. Those who wish to enable and support campaigns within the company in order to maximize revenue understand the modern role of IT that we spoke about in the beginning of this piece. IT leaders have ditched the idea of holding power and picked up the movement of enabling the larger organization through being a service provider. Trust is born from good judgement. This can be broken down deeper. How does someone handle themselves when the going gets tough? Do they have the tendency to be emotional and volatile? Or are they calm and contemplative? Are they the type who lashes out with anger when issues arise? Growth and scale always leads to a search for more IT leaders. Internally you want to take a look at the candidates that think in a very organized and systematic manner. In regards to IT and computers, there is no room for carelessness. 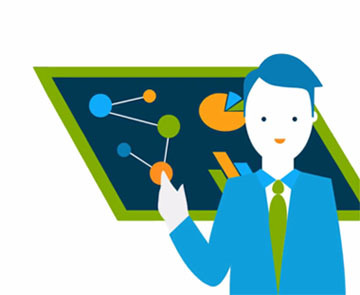 A good IT leader is methodical, a true systematic and holistic thinker when it comes to your critical systems. You entrust your leader with making sure the entire team is thinking through all possible use cases, error cases, and even failure cases. Overall, IT’s main focus should be to keep everything running at all times, and this is not possible if you don’t have leaders capable of tackling numerous issues with agility and success. In today’s world, the paramount concern is security and the threats that are all around us. 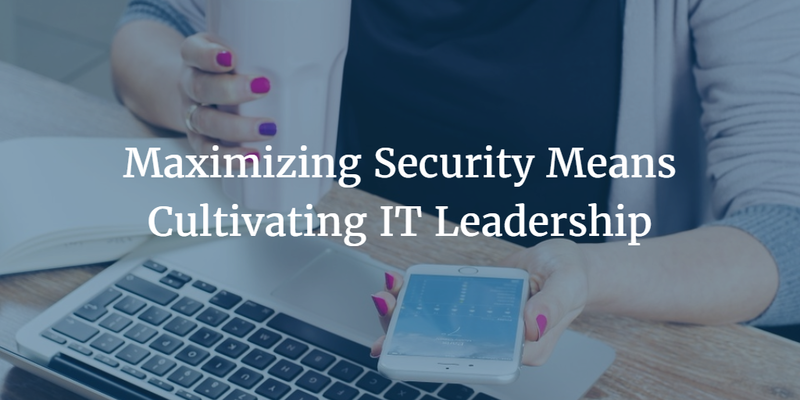 For IT leaders, it is critical they understand how to leverage IT systems in a secure manner. We aren’t suggesting you look toward the guy with the tin foil hat for leadership, but security does need to be a top concern for your leaders. 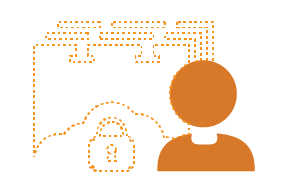 Your leader must be able to implement and understand security approaches that are relevant to your organization. They need to do this while shedding the past belief that security decreases productivity for workers. Finding solutions that both secures systems and boosts efficiency across the entire organization is critical for your leader. A confident and outspoken tech leader works well, but a well rounded leader must also be able to work well with the entire team and organization. IT cannot win if the customers are losing. When sturdy relationships are formed between IT and all the various departments and teams within your organization, it creates the foundation of success that trickles down all the way to the customer. 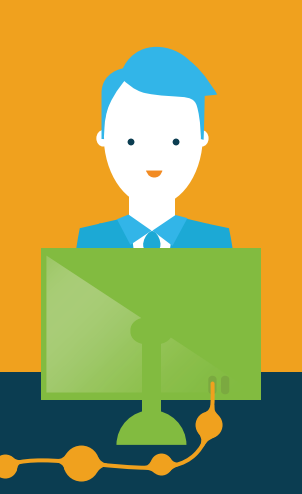 The perfect IT leader is the go-to guy for all other leaders within your organization. In the end, finding the right IT leader hedges on how their mind meshes with the direction you are taking your team in. Identifying, vetting, and cultivating the right candidate and ushering them into a leadership role can make the difference between failure and success for your IT organization. If you would like to relieve some stress from your IT leaders, then check out how JumpCloud’s Directory-as-a-Service® can assist your organization. If you would like to speak with someone on our support team to learn more drop us a line.